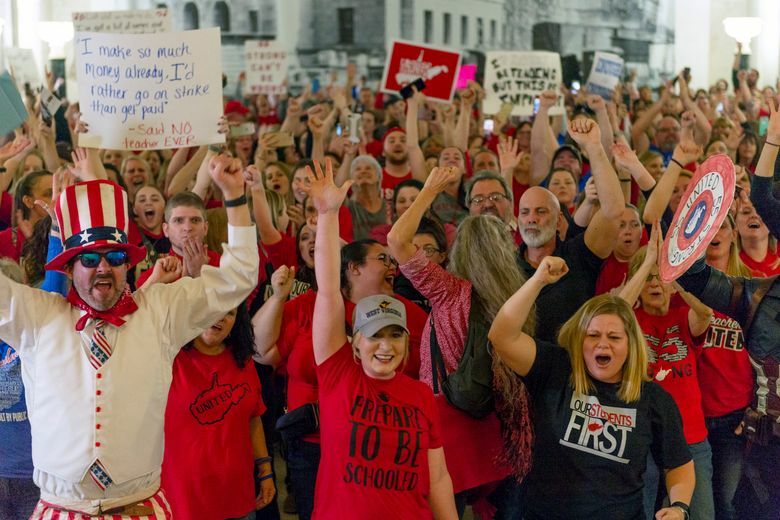 Teachers unions oppose complex legislation under consideration that, among other things, would create the state's first charter schools and allow education savings accounts for parents to pay for private school. 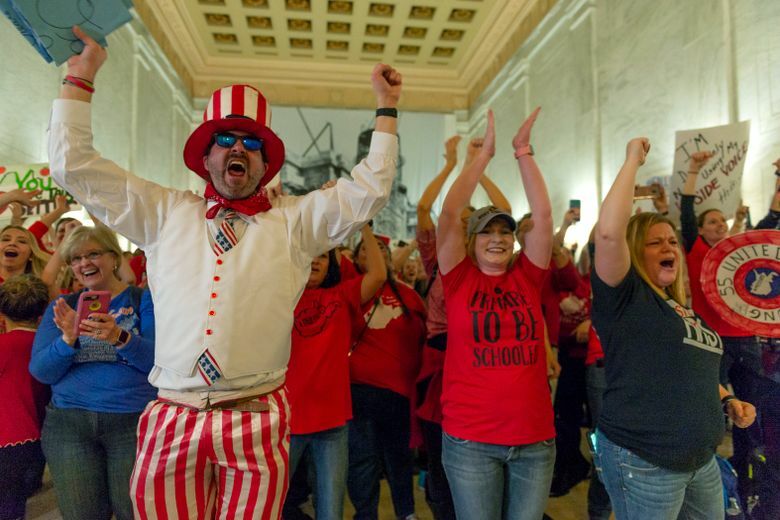 CHARLESTON, W.Va. (AP) — West Virginia teachers will remain on strike for a second day despite a move by the House of Delegates to effectively kill a complex education bill that had sent them to the picket lines. Earlier, the Republican-led House voted 53-45 to indefinitely table the bill that the unions oppose. That means the bill won’t go to the next step: a committee of Senate and House members who would try to come up with a compromise. 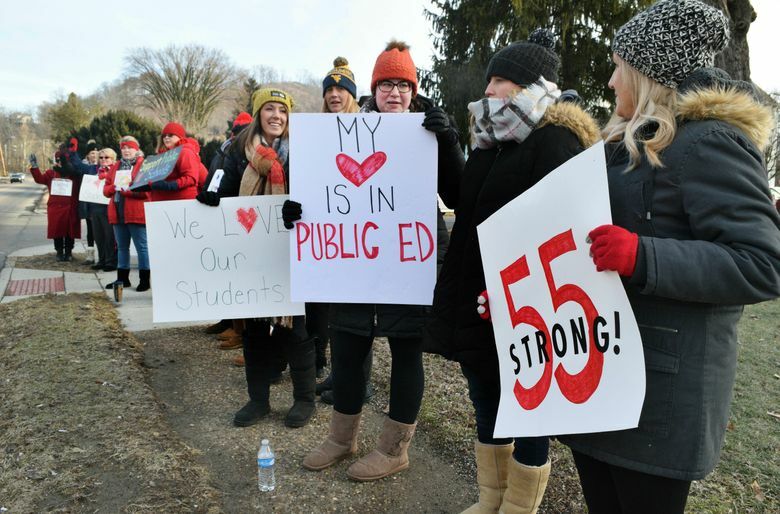 Without being specific, West Virginia Education Association President Dale Lee said the unions believe there’s still a small chance there could be further developments with the legislation. 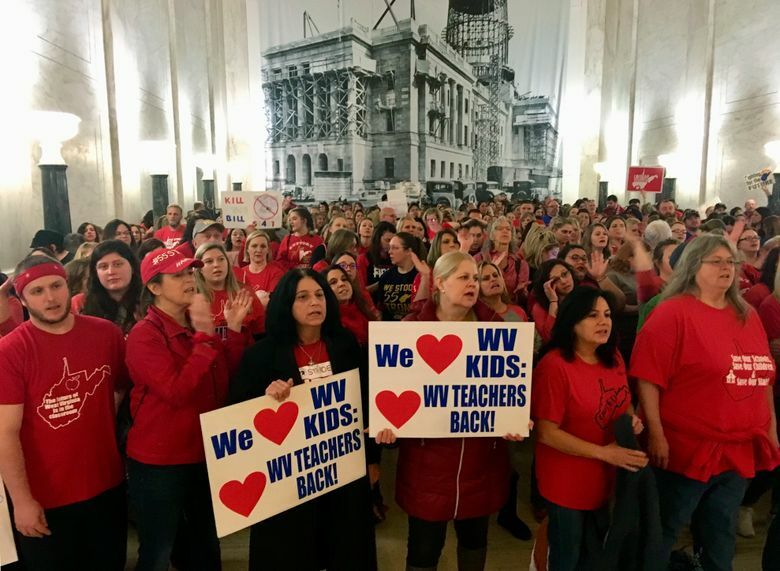 American Federation of Teachers’ West Virginia chapter President Fred Albert said the unions’ trust in the House has been somewhat restored, but “we cannot trust the leadership in the Senate,” which has tried to rush the bill to passage. “We are staying out one more day to make sure that this is a dead bill tomorrow,” Albert said. Senate President Mitch Carmichael said he was disappointed in the House’s action. 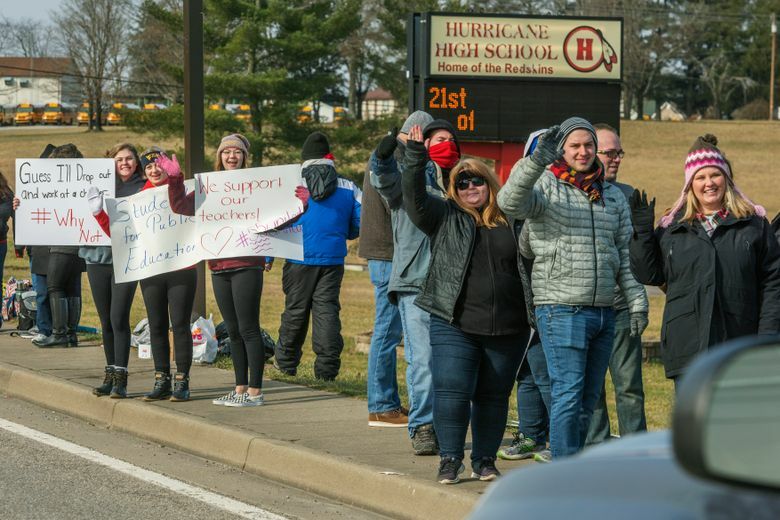 Before the House vote, teachers and school support workers lined streets outside schools with picket signs and packed the state Capitol during the walkout over the bill, which they view as lacking their input and as retaliation for last year’s nine-day strike over pay raises and health insurance coverage. The 2018 walkout launched the national movement that included strikes in Kentucky, Oklahoma, Arizona, Washington state, and more recently, Los Angeles and Denver. Teachers in Oakland, California, have authorized a strike starting Thursday. Nearly all of West Virginia’s 55 counties canceled public school classes Tuesday. 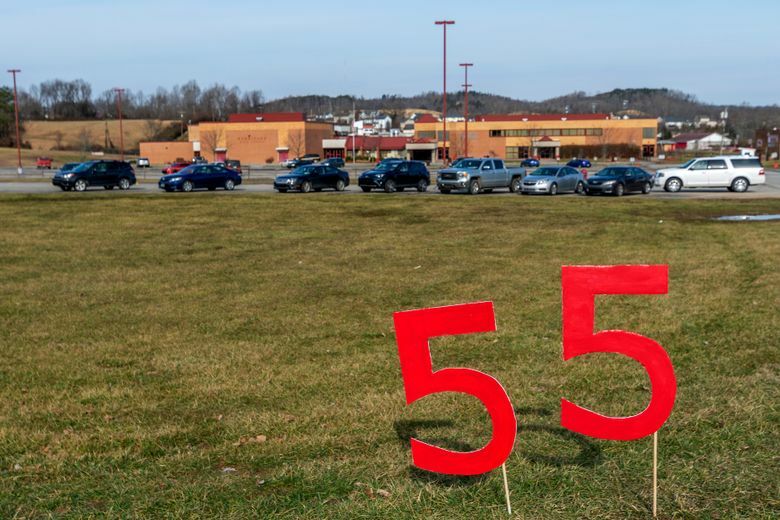 The only county where classrooms were open was Putnam, where school parking lots were nearly empty, anyway. A few cars trickled in to drop off students, but no buses were seen. 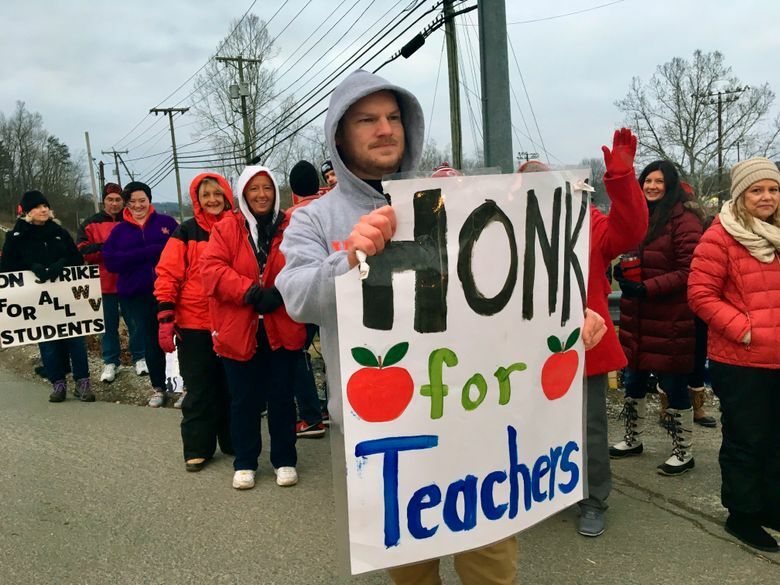 Teachers from neighboring counties joined Putnam County teachers on the picket line as motorists honked their support. 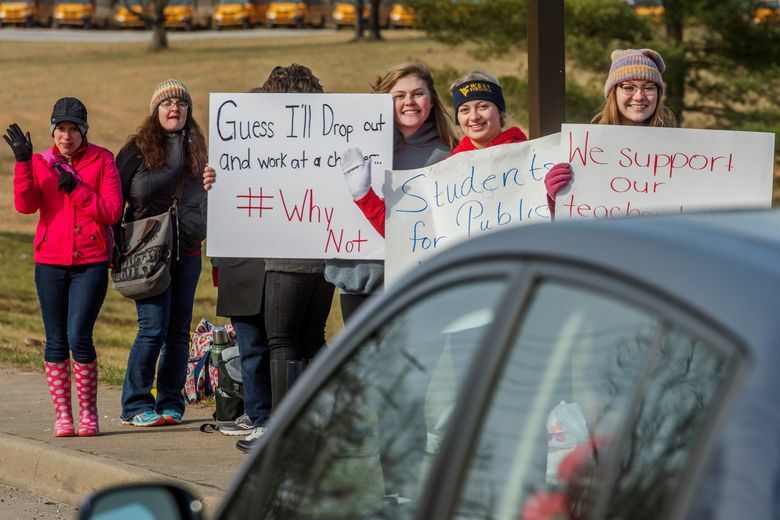 Teachers unions oppose complex legislation under consideration that, among other things, would create the state’s first charter schools and allow education savings accounts for parents to pay for private school. The unions have said lawmakers never asked for their insight into what has become a rushed process in the GOP-led Senate, which narrowly passed an amended bill Monday night. 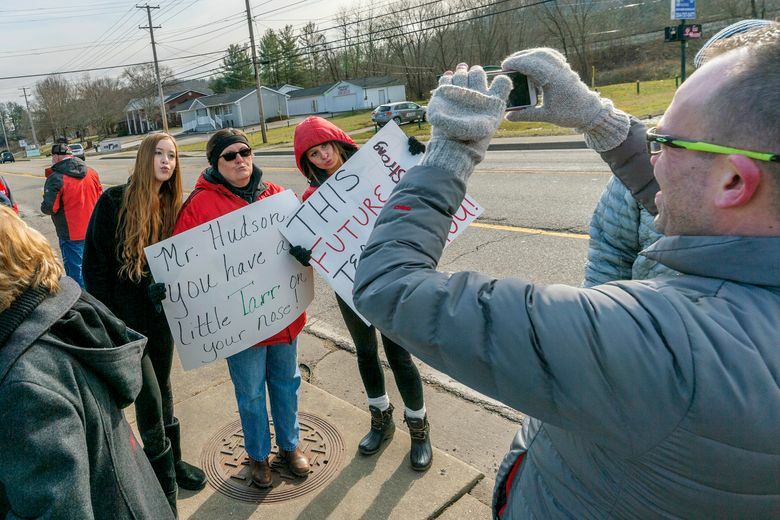 One sticking point has been a provision to create the state’s first charter schools, which the unions believe would erode traditional public education but bill advocates say would give parents more school choices. Charter school laws have been enacted in 43 other states and Washington, D.C. The Senate version would have allowed for up to seven charter schools statewide and provide for up to 1,000 education savings accounts for parents to pay for private school. The accounts would be for special-needs students and those who have been bullied. The House version did not call for such savings accounts and would have limited charter schools to one each in Cabell and Kanawha counties. Gov. Jim Justice said Tuesday that he would veto the bill if it included the savings accounts and more than two charter schools. He was critical of how the Senate handled the legislation.